Ives Concert Park on the Western Connecticut State University Westside campus will host the Second Annual Mock Stock Tribute Band Music Festival this weekend at the venue located at 43 Lake Ave. Extension in Danbury. Tickets are $30 at the gate. VIP experience tickets are available. For more information go to www.mockstocktributefest.com/. Friday, July 20, will feature Mock Stock Purple, celebrating the music and influences of Prince. The event will begin with Sly & the Family Stone cover band, Everyday People, at 6 p.m. Following a short break, Kiss The Sky will perform the music of Jimi Hendrix at 7:30 p.m. The main act, Dean Ford & The Beautiful Ones, will close the show at 9 p.m. with a Prince set of unparalleled realism. Saturday, July 21, Ives Concert Park will be rocking again starting at 6 p.m with Mock Stock Metal, a tribute to the music of AC/DC, Metallica and Guns ‘n’ Roses. 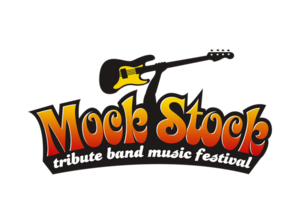 Mock Stock Tribute Band Fest is produced by Promotions in Motion, i95 and Ives Concert Park. For more information, visit ivesconcertpark.com or follow us on Facebook and Twitter at www.facebook.com/ivesconcertpark and twitter.com/ivesconcertpark. Western Connecticut State University changes lives by providing all students with a high-quality education that fosters their growth as individuals, scholars, professionals, and leaders in a global society. Our vision: To be widely recognized as a premier public university with outstanding teachers and scholars who prepare students to contribute to the world in a meaningful way.